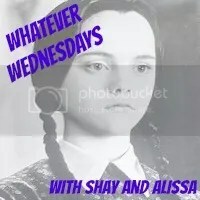 Every Wednesday/Thursday I’ll be blogging about the topic that comes through my email courtesy of Shay & Alissa. I thought about this long and hard. I have had my heart broken a few times. Ex boyfriends, ex bestfriends, people that I though had my back but when it came to it they didn’t actually. But there was only one heartbreak that I look back on and wish was different. And that is something I don’t want to share with the interwebs. So instead I’m going to talk about the last time my heart ached. I had a day off on Monday. My body needed sleep and it got it. In that state of ‘really don’t want to leave the covers of the bed’ I turned on Netflix to see what I could watch. I clicked on Orange is the new Black thinking that I’d give it until I got sick of it. That’s my usual plan when watching something I know nothing about. Half an hour into the 13th episode I fell asleep because I just could stay up any longer. If you know nothing about the series, it’s a Netflix original based on a memoir of the same name. I have since read the memoir and it is very very loosely based. In many ways this makes it a better series because one of the things that I liked most about the TV series that wasn’t in the book, was the many and varied stories that were shown. It’s set in a women’s prison, with the main character being a pretty white girl whose girlfriend was involved in drug smuggling and she helped out. She then moves on with her life, but 7 years later the case is brought to trial and she is sent to a minimum security prison. But as dry as the original premise is, the ensemble cast of fully fleshed out characters is the real strength. Episode 3 was where it really got me. I’m not going to be all spoilery, but these are bad people. They’re all in prison for a reason. But they’re also women, mothers, daughters, friends, lovers, and enemies. And their stories made my heart ache because for every story there was pain. I am well aware that these are fictional characters, made up for the screen loosely based on reality. But for me it wasn’t a stretch to think that these were real people and real experiences and my heart aches for every single person who is facing that life. Not the prison life, but the life that led them their in the first place. Because every episode focuses on a different inmate so we get to see her story, the decisions that were made, what led them to prison and who they are as a character. I enjoyed this series so much that I watch it all (bar 30 minutes) in one day. If you have Netflix it carries the Beks Stamp of Approval. The theme is by Regina Spektor and was specially written for the show. I have thought about forking up the money for netflix just to watch this series, and you have me literally reaching for my wallet.. I swear. I NEED TO WATCH THIS SHOW. heartache n’ all. I signed up for the free trial when new Arrested Development came out and they’ve been taking money off me ever since. Particularly as we don’t actually get Netflix in Australia (i live in 90210 according to them) and most of the shows on there I would rather pay than pirate. I can’t stop raving about it. Sounds great. (staying in bed and the series). I’ve been wanting to watch this show from some of my other friends that have loved it. You may have sealed the deal.